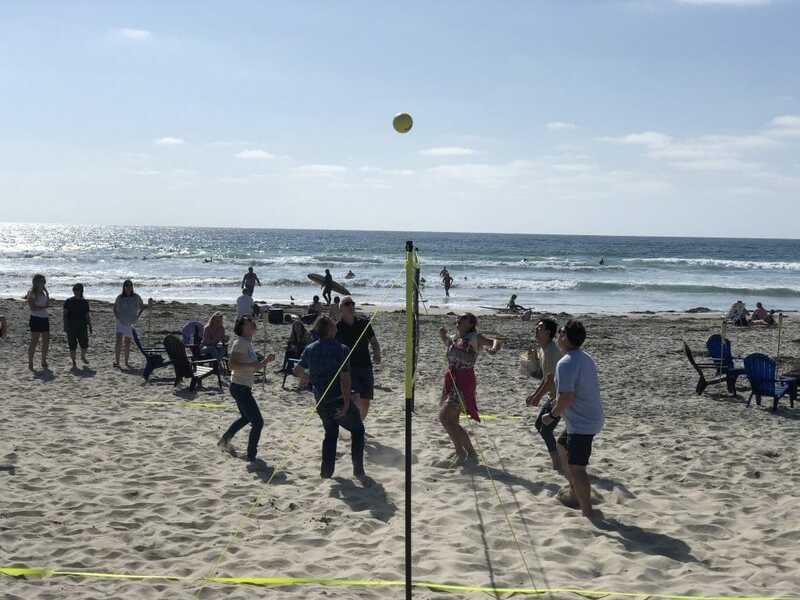 Enjoy a unique Team building activity filled with relaxation and fun at beautiful La Jolla Shores Beach, one of San Diego’s most beautiful places. 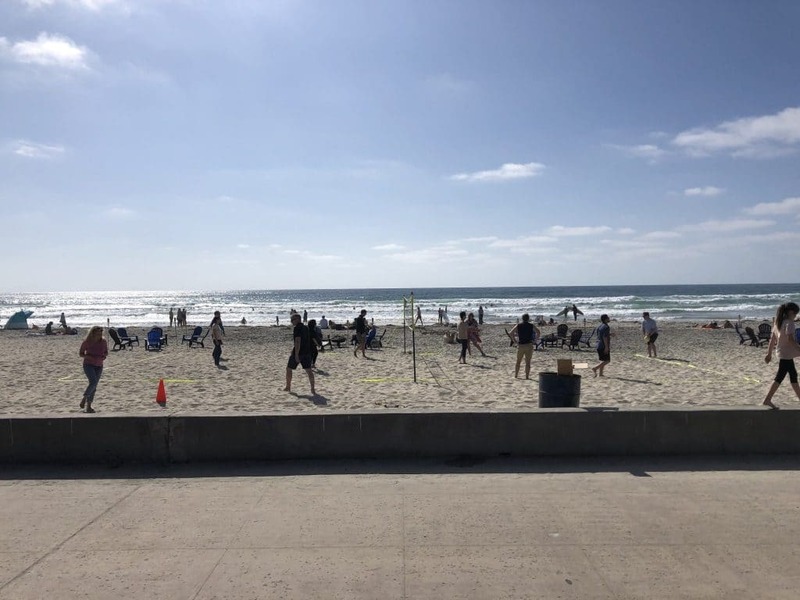 La Jolla Shores is a mile-long crescent of prime sand beach favored by active beachgoers of all interests. This beautiful area is popular among families and surfers alike for a great day at the beach. 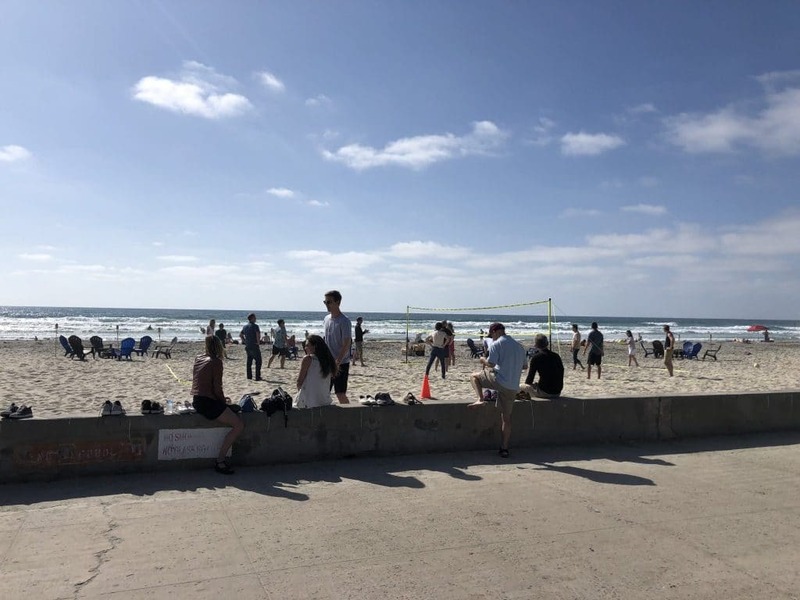 Shielded by La Jolla Bay, La Jolla Shores is a quaint and relaxing beach with dramatic views of La Jolla Cove, the cliffs of Torrey Pines State Beach, and the famous Scripps Pier too. 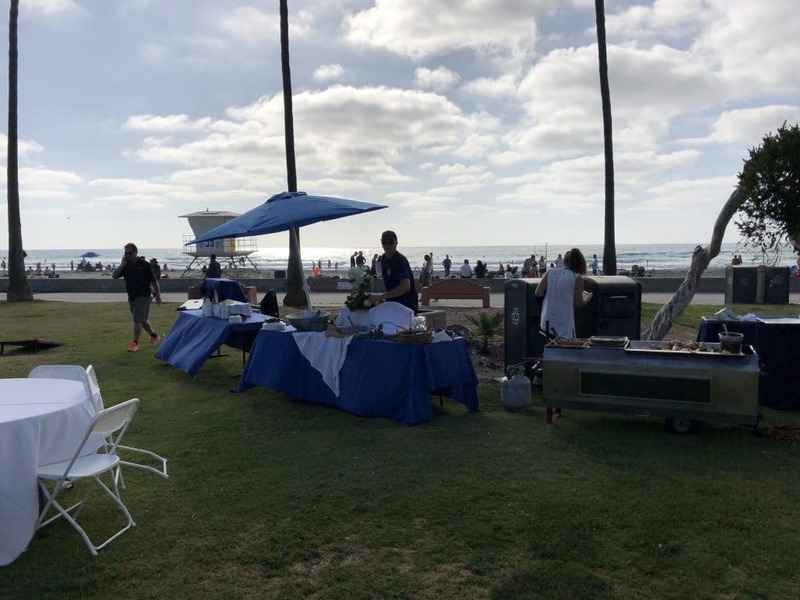 Popular with locals, families, and out-of-town visitors alike, it’s just short drive from anywhere in San Diego and perfect for a relaxing corporate event at the beach. 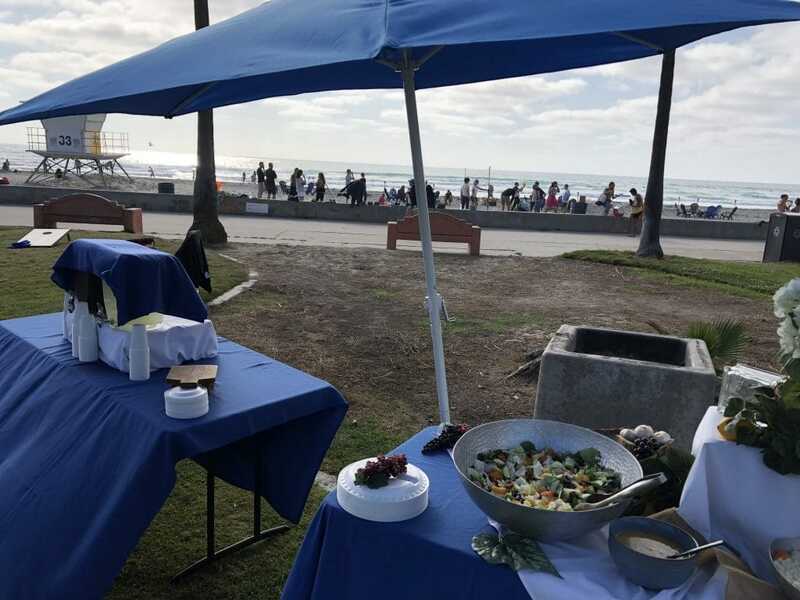 At the beach, we set up and handle everything for you. Activities include volleyball, horseshoes, soccer, corn hole, and giant jenga. Furnishings include tiki torches, fire pits, adirondack chairs etc. 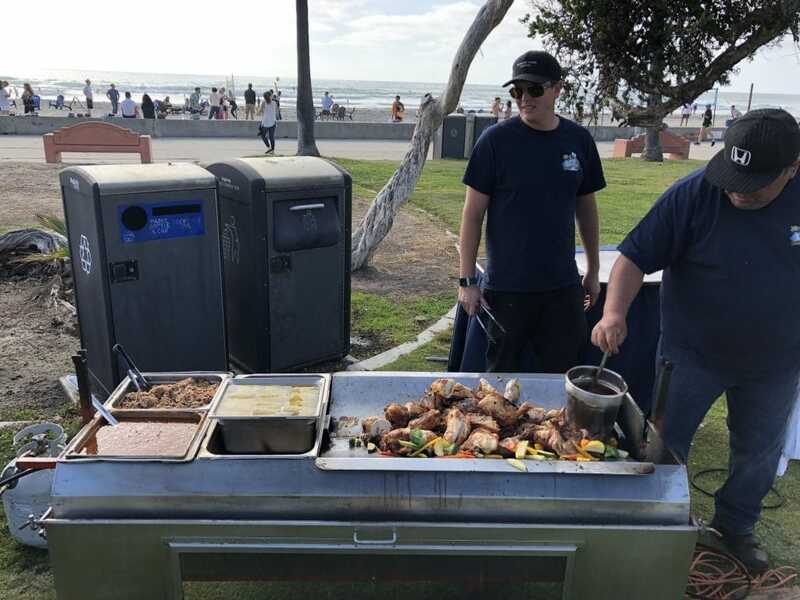 We cater this event with the food prepared on site and pull all necessary permits. -Beverages: Fresh Lemonade, Iced Tea, Arnold Palmer, and Bottled Water. 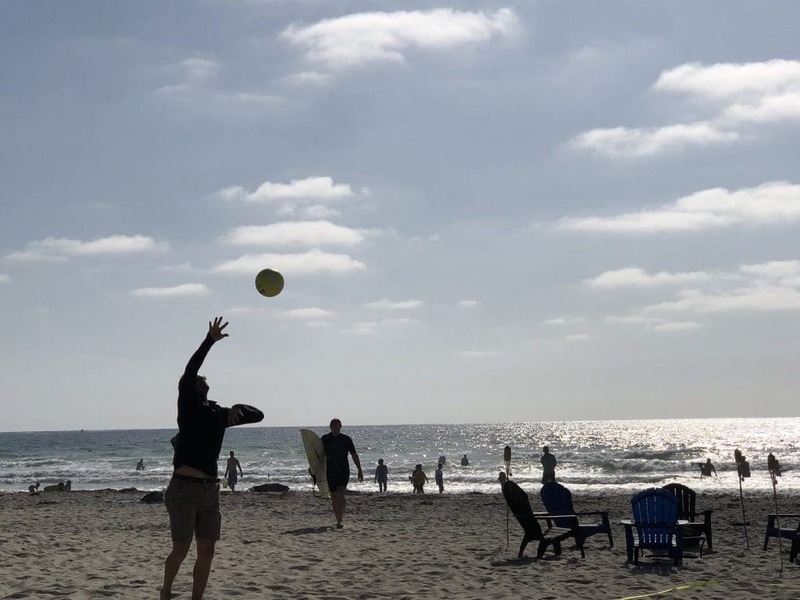 Our La Jolla Shores Beach Experience is popular with groups hoping to experience a Southern California Beach experience. The shores is perfect because it is easily accessible with a large grass park, bathrooms, showers, and picnic tables adjacent to the beach. All details of your booking are emailed to you in the confirmation immediately after booking. 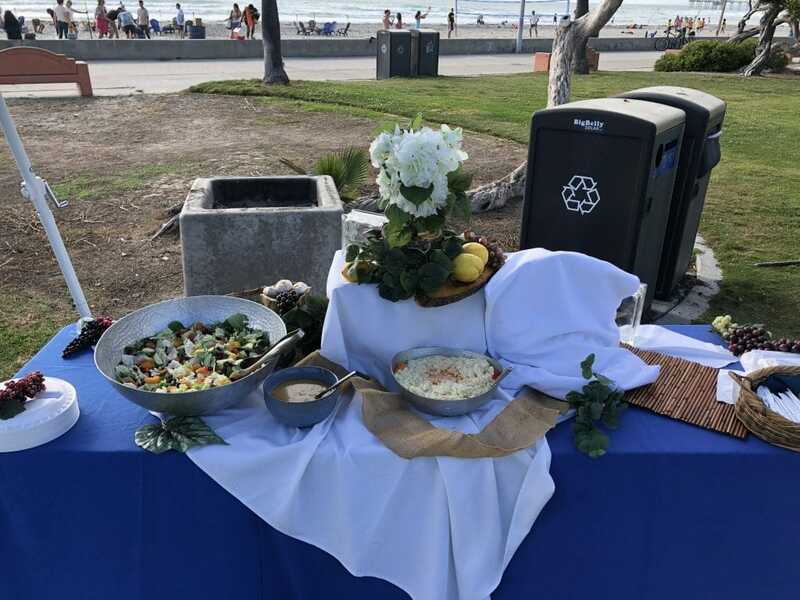 We look forward to exceeding your expectations hosting this even for you at La Jolla Shores. $249.00 per guest. Designed for groups of 20 or more. This experience takes place in nice weather conditions.